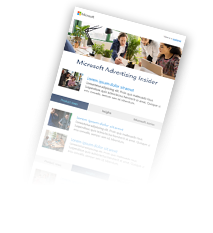 Bing Ads has been rapidly evolving with new ad extensions, bidding options, targeting enhancements, and a stronger, faster platform. It’s time that the campaign creation workflow reflects the features and optimizations that can help you excel in Bing Ads. Today, we are excited to unveil an all new campaign creation workflow designed to help you hit the ground running with a campaign that is successful from day one. When you enter, we will first ask you to select your marketing goal for your new campaign. Your marketing goal will be used to recommend different features or different defaults to get your campaigns off to the right start. Regardless of which goal you choose, your campaign will still have access to all features. On this page, you will also find new shortcuts to other campaign setup tools: Keyword Planner, File Import, and Google Import. You can now quickly copy the campaign settings from an existing campaign. We also made it easier for you to set up the locations where you want your ads to appear. 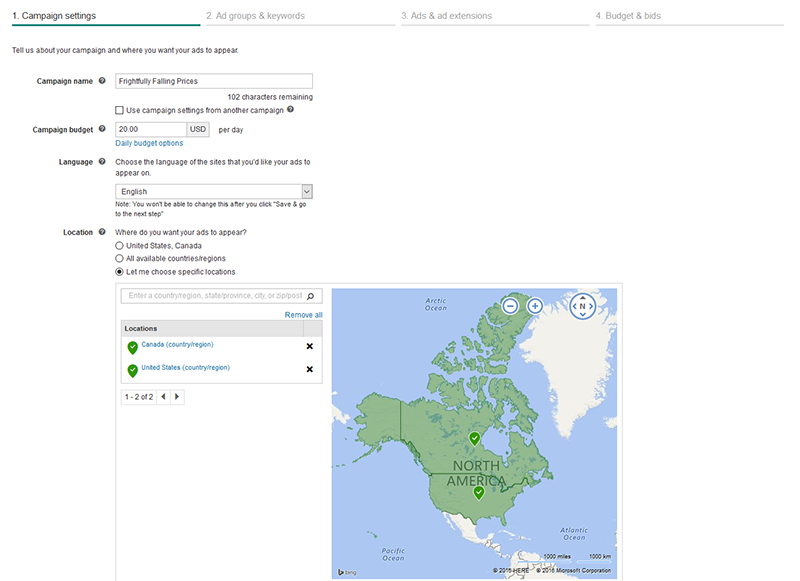 For example, you will now manage your radius targets in the same view that you manage your other locations. Choosing keywords can be cumbersome and research-heavy for many advertisers. We now offer improved keyword suggestions to help you target the right search results. These suggestions can even be based on a URL from your website. 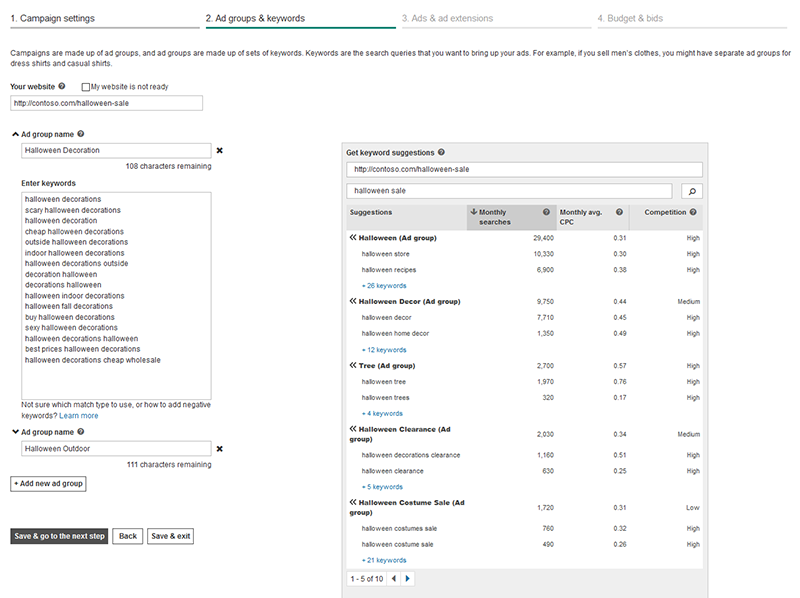 For each suggestion, we show how popular, how costly, and how competitive each keyword is. Not only that, but we also automatically group keywords for you into ad groups based on relevance. * By organizing your keywords into multiple ad groups, you can better target your ad copy and your bids to the different sets of search queries you want to show up for. Ad extensions make your ads more eye-catching to searchers and can help boost clicks and conversions on your ads. When setting up a campaign, you now have access to the library of ad extensions, and we will highlight the ad extensions that align with your marketing goal. 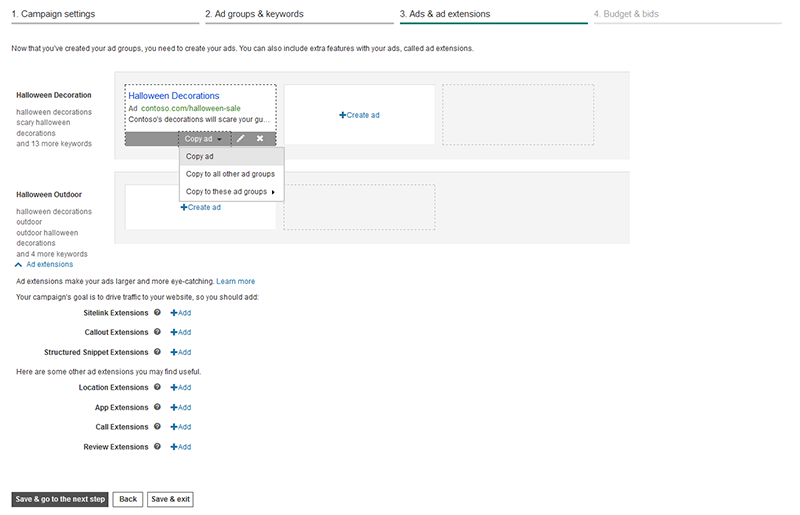 Furthermore, instead of being limited to only one ad for your entire campaign, you can now set up multiple ads and easily manage them all in one page. What do you think about the new campaign setup experience? Please share your comments and suggestions in our feedback forum or on Twitter. 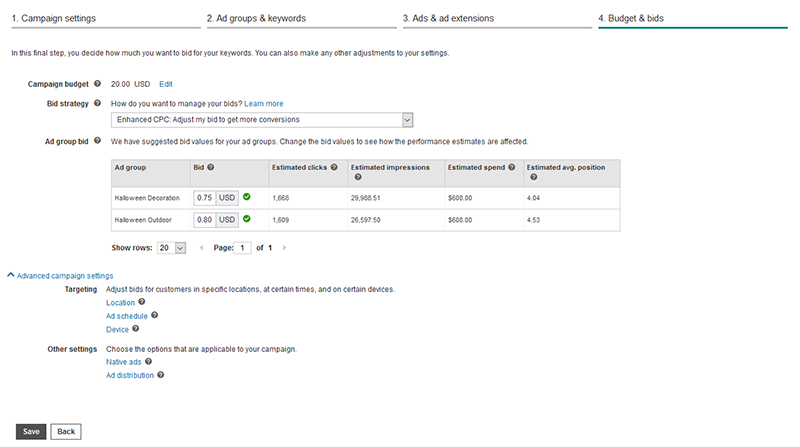 *Keyword suggestions and performance estimates are not yet available to all countries and languages.